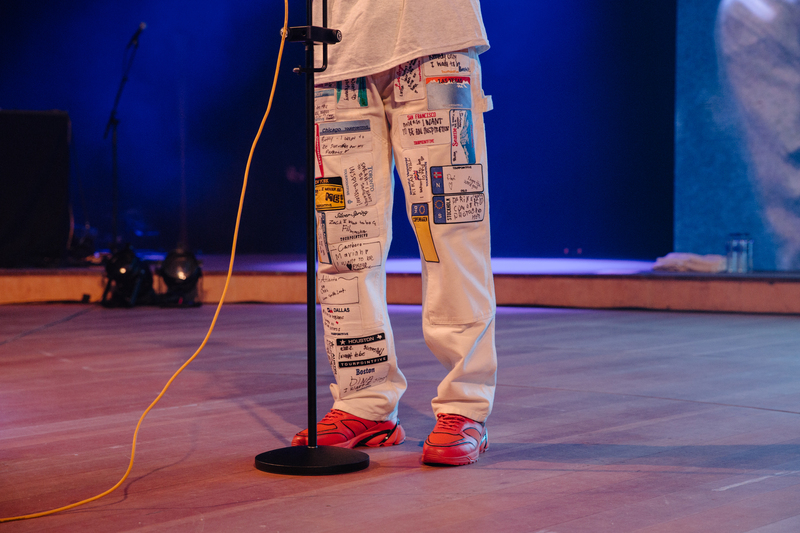 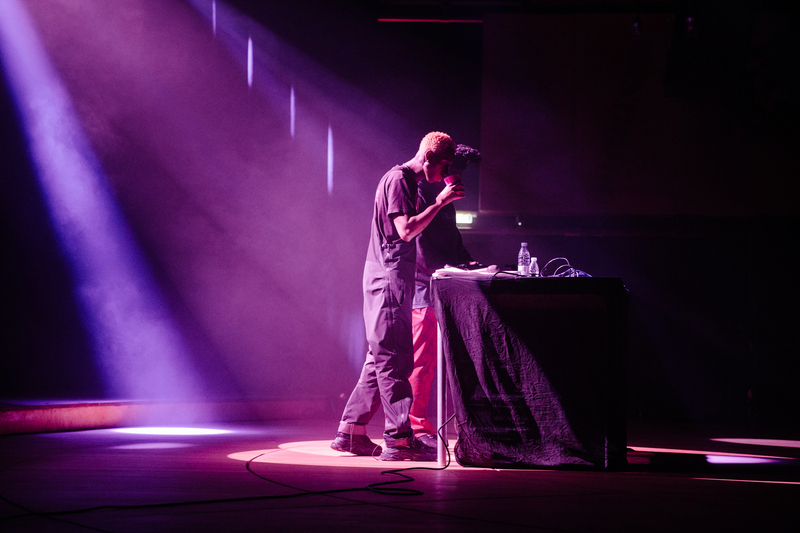 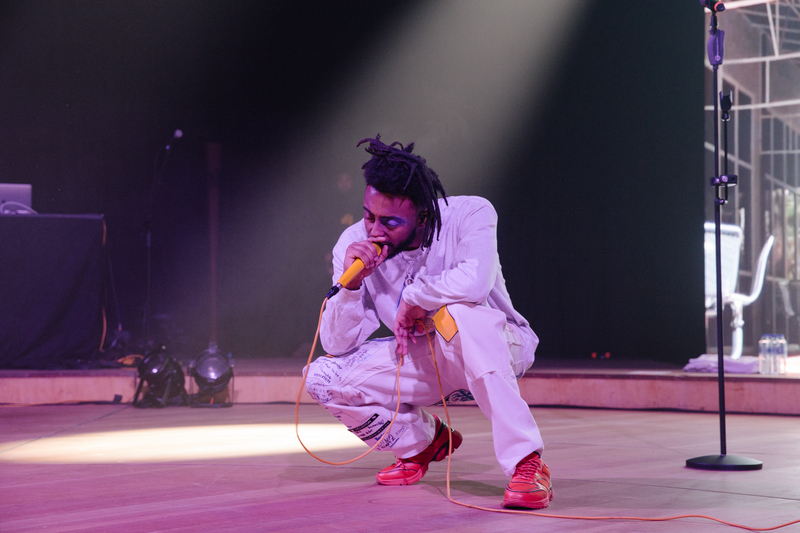 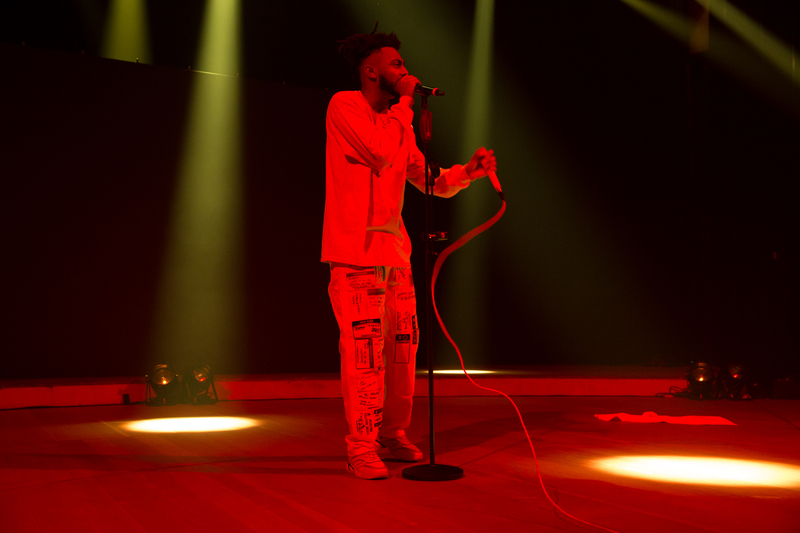 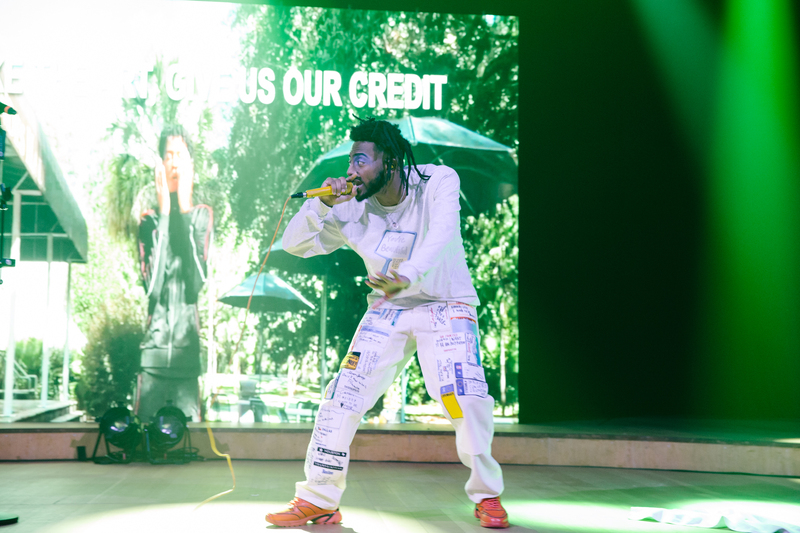 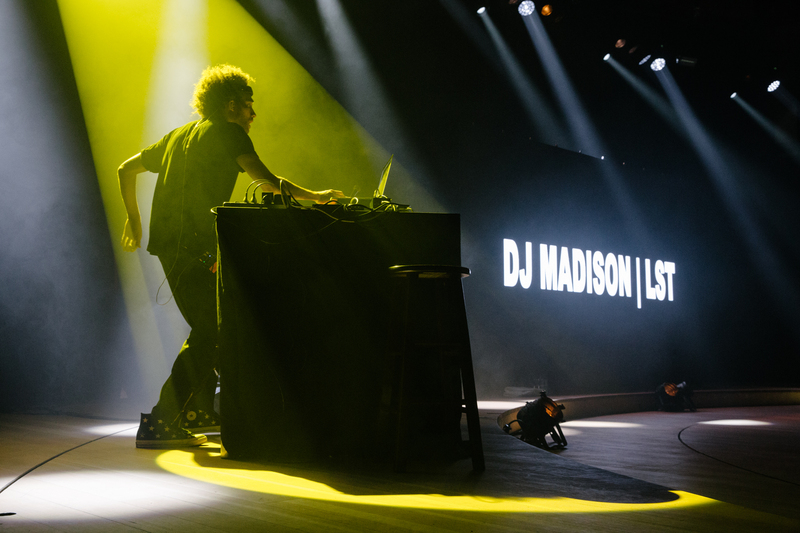 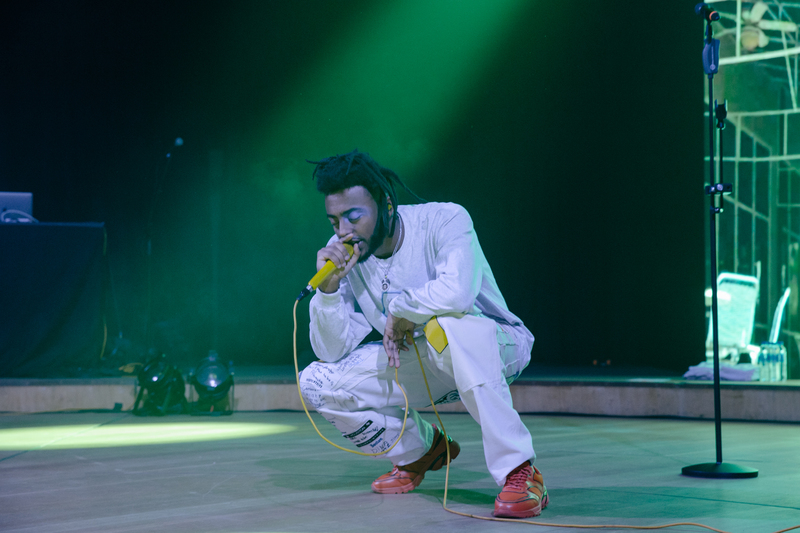 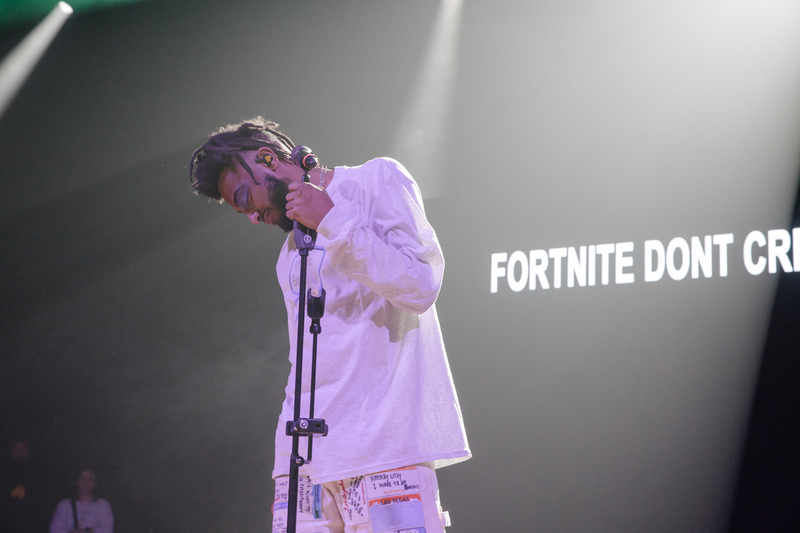 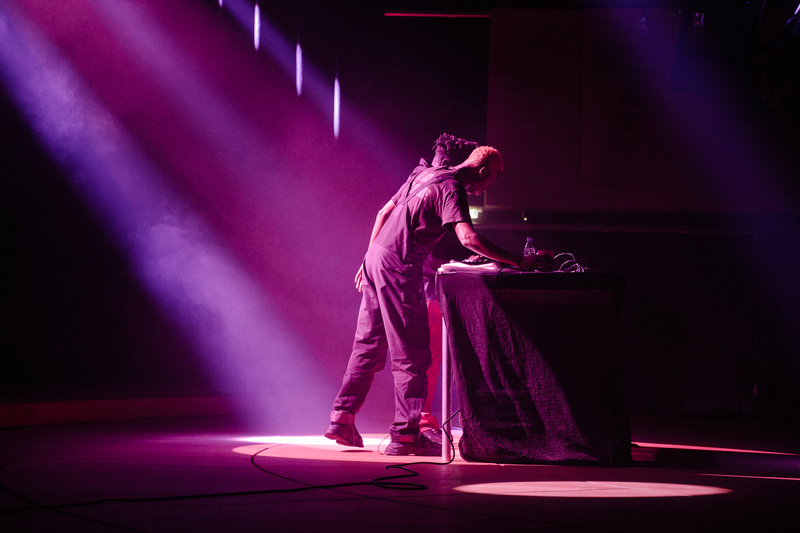 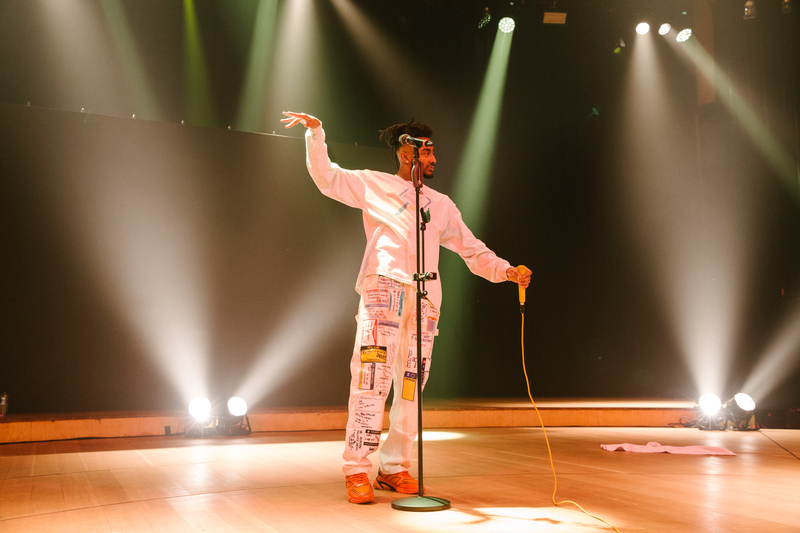 Performing in one of Copenhagens most modern venues, DR Concert Hall, Aminé amazed fans with an interactive live set. 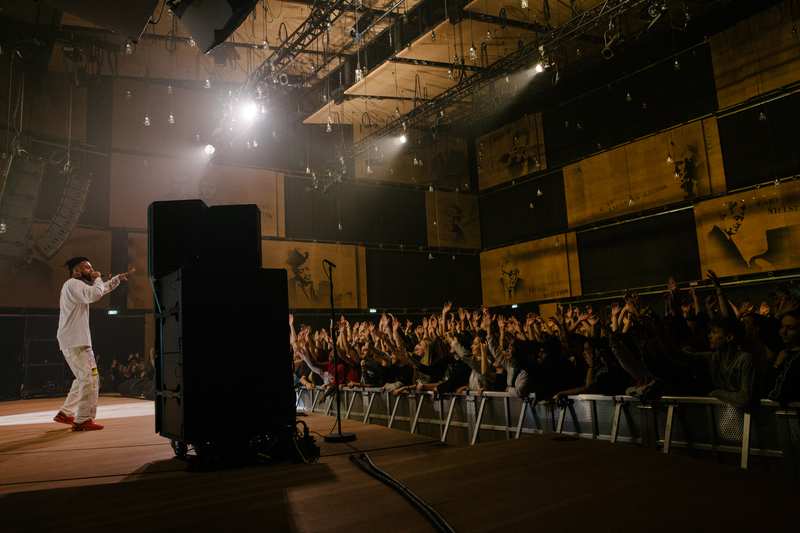 Built in 2009, DR Concert Hall provides music lovers a contemporary and inspiring way to listen to live music. 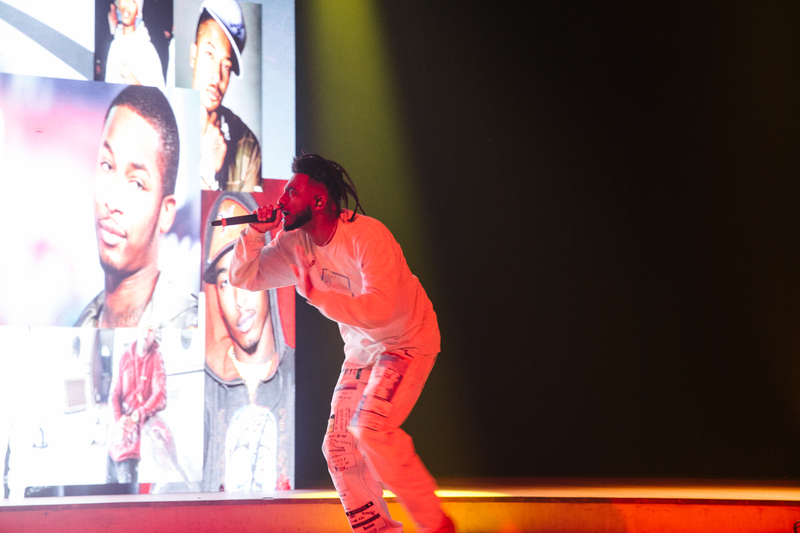 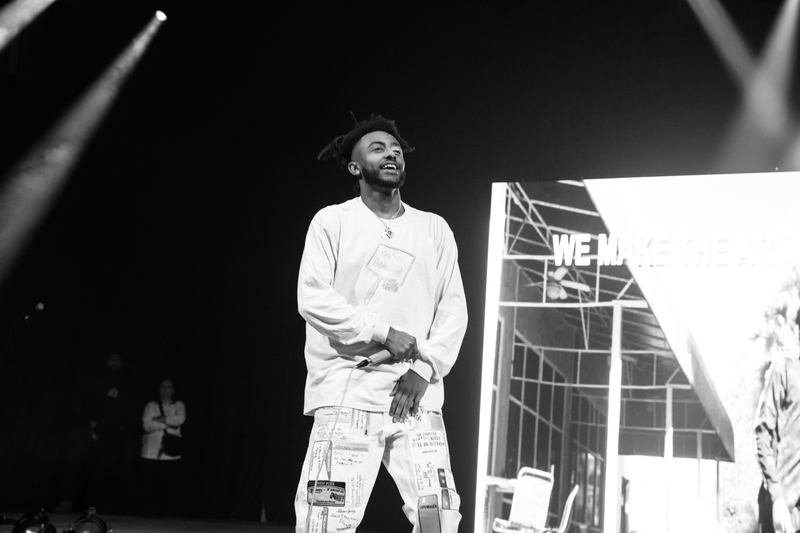 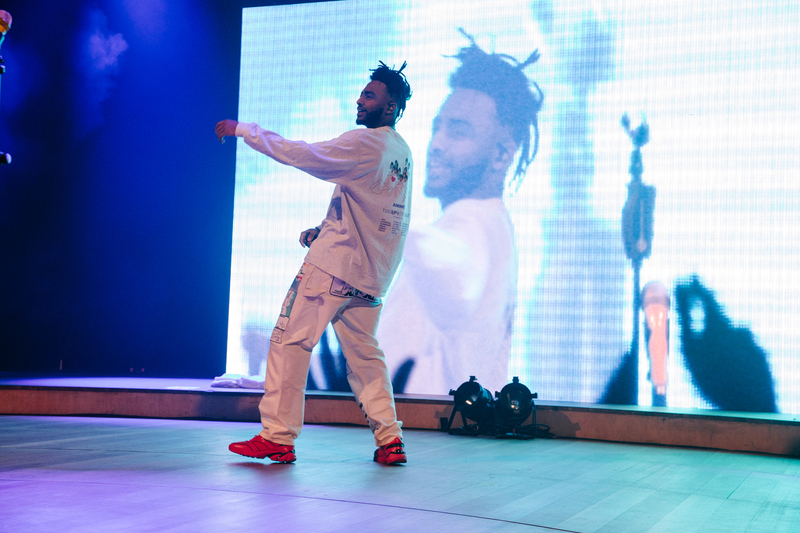 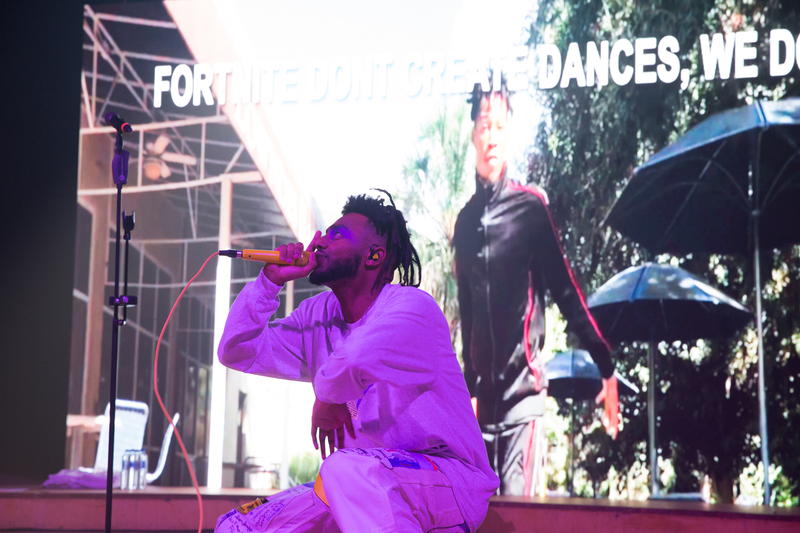 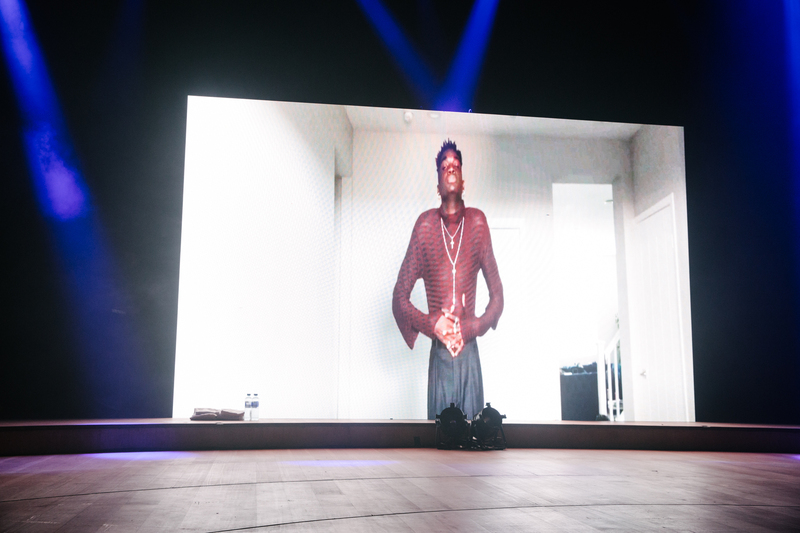 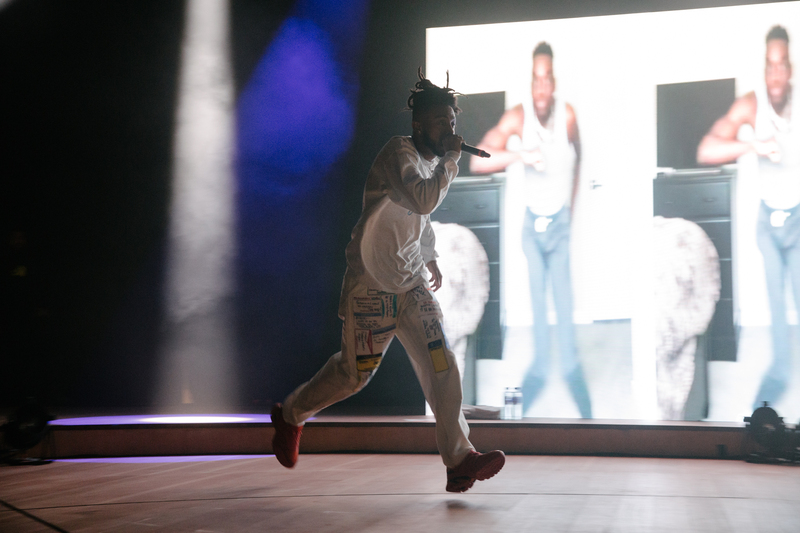 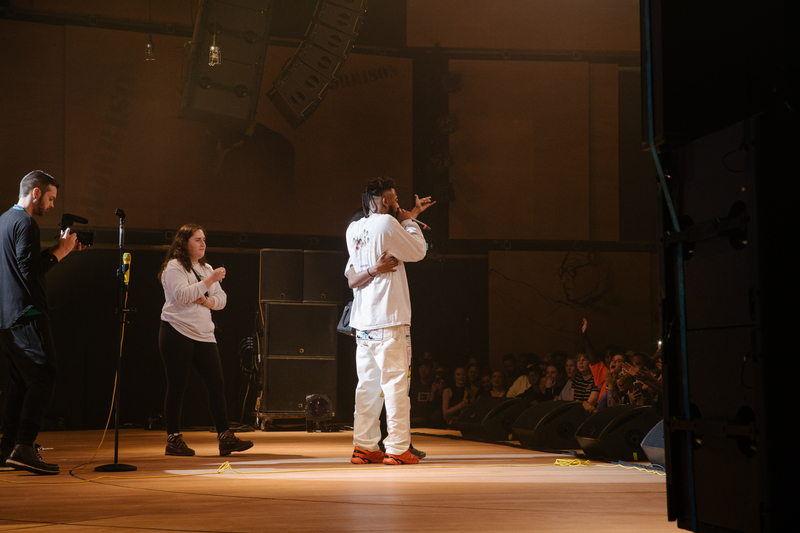 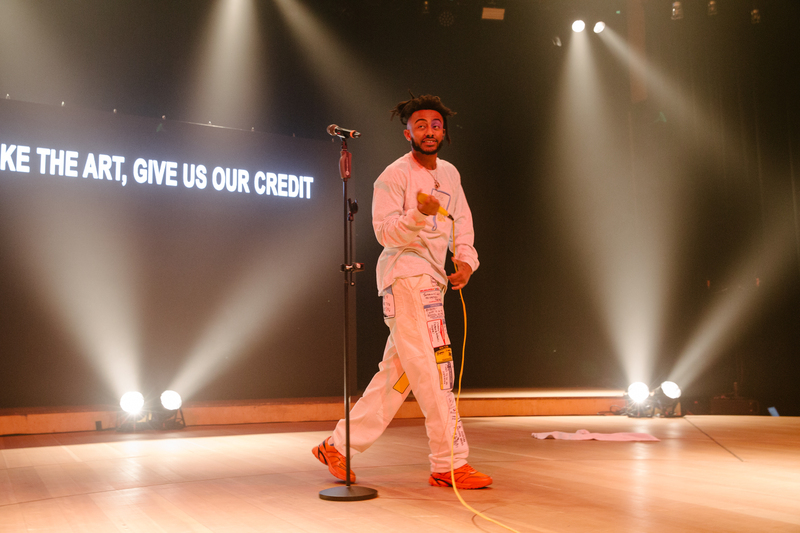 With the building’s breath-taking architecture, high ceilings and round stage, Aminé was able to offer fans an unforgettable live experience. 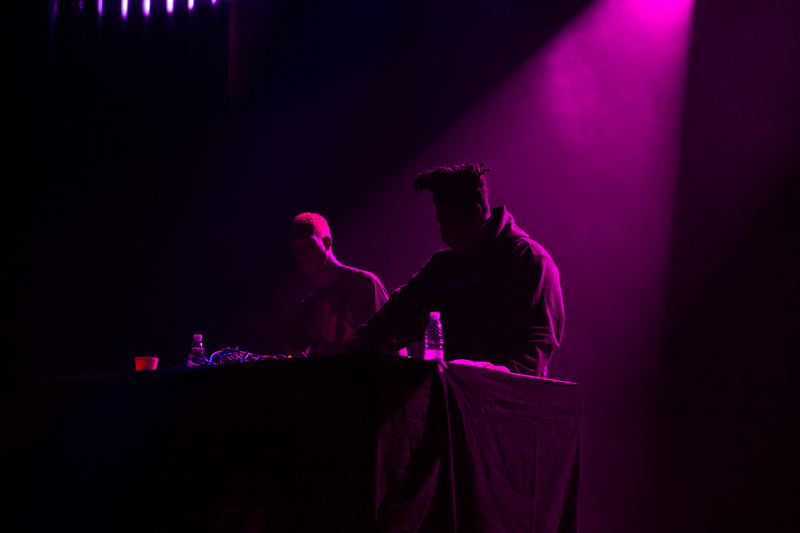 Plus Sound opened the night, mixing a range of hip hop tracks. 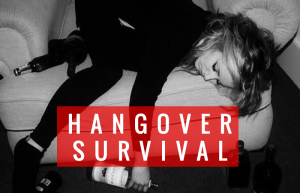 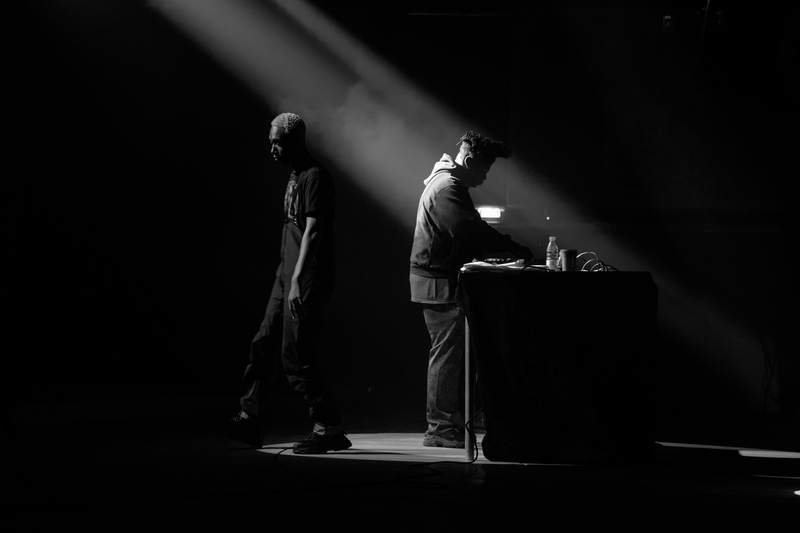 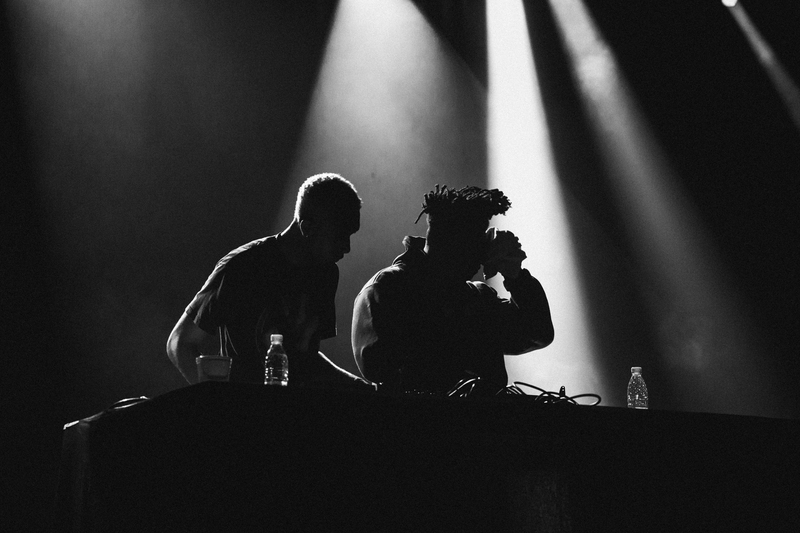 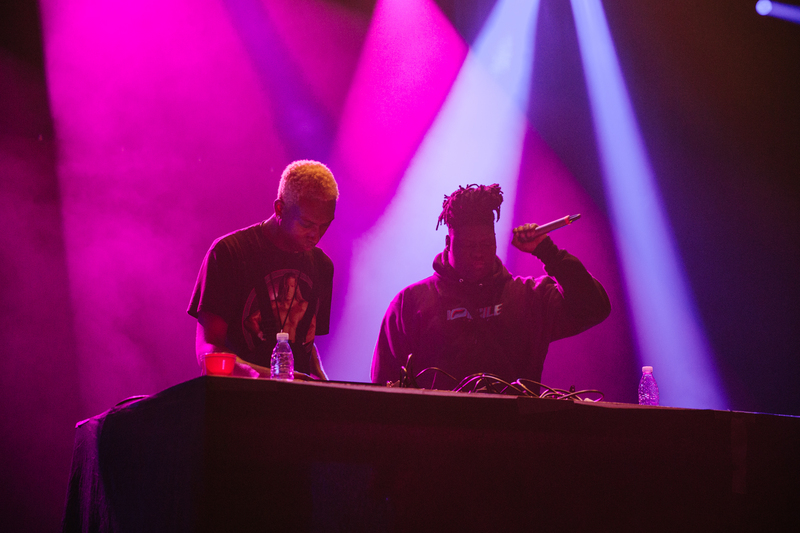 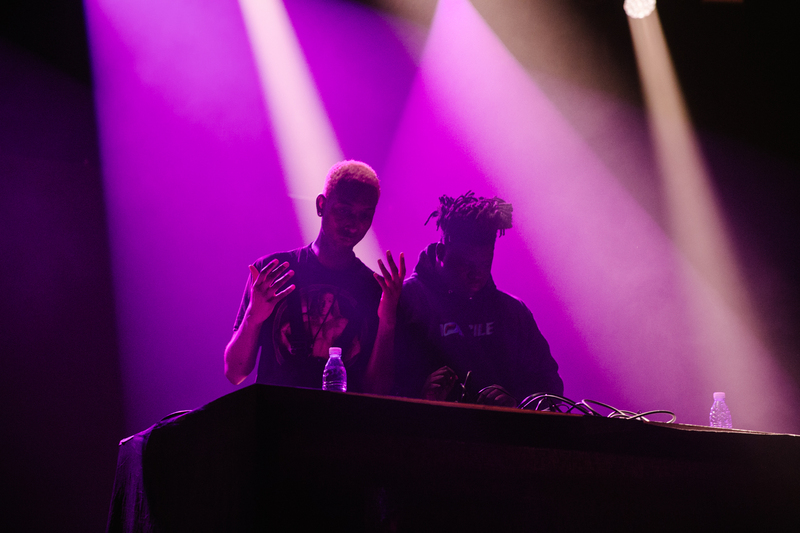 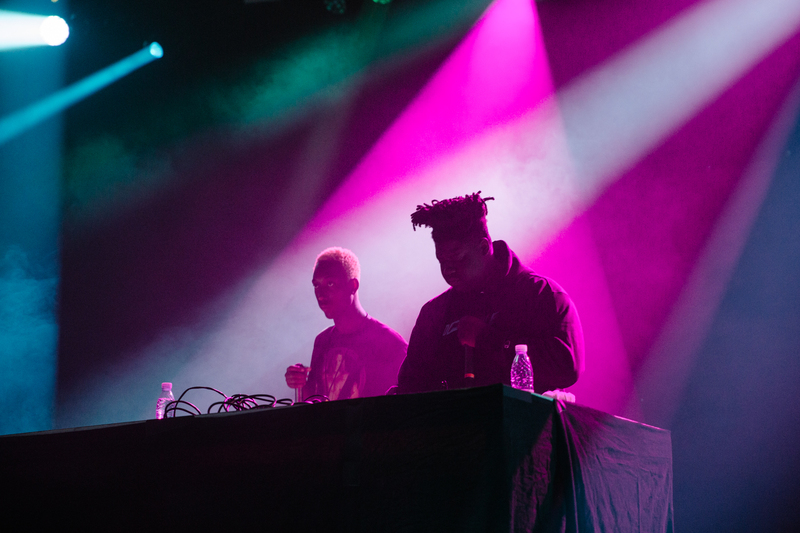 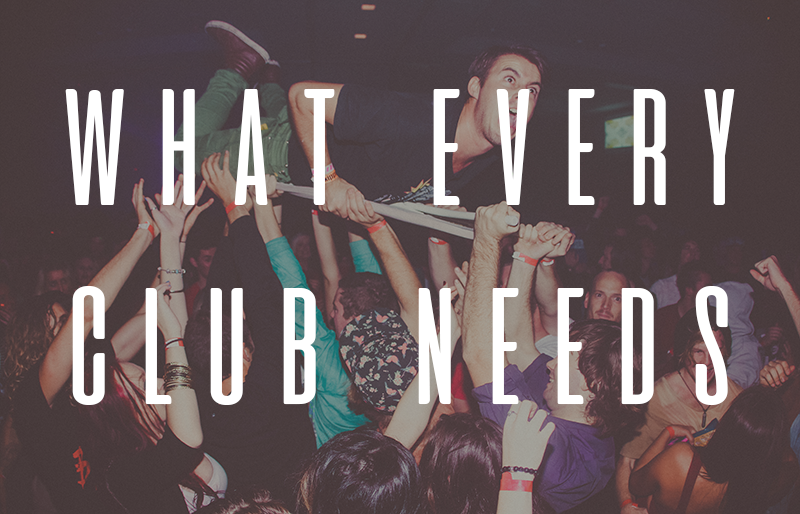 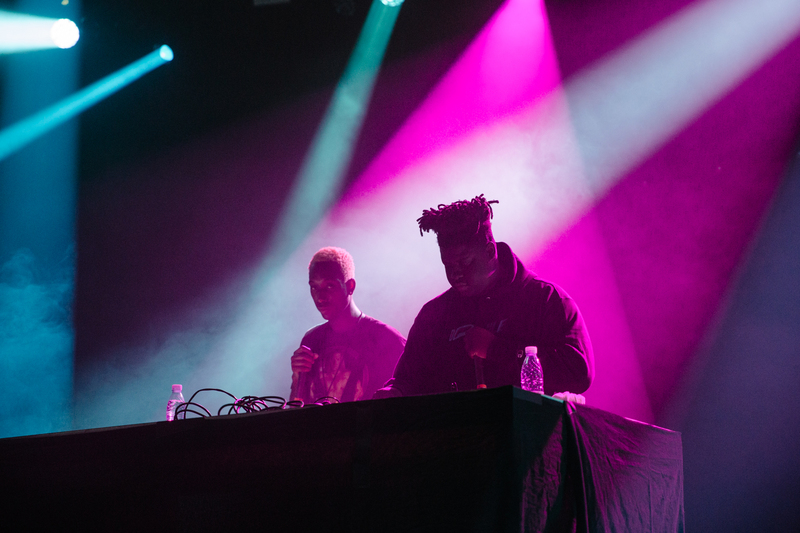 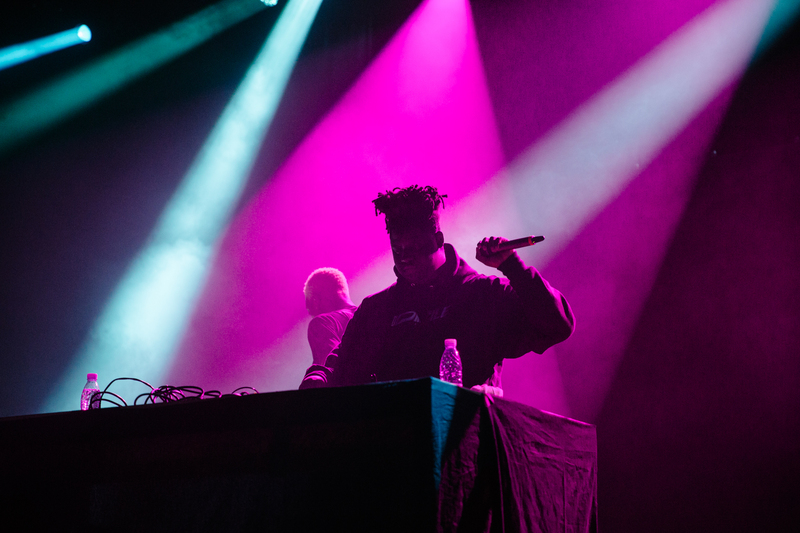 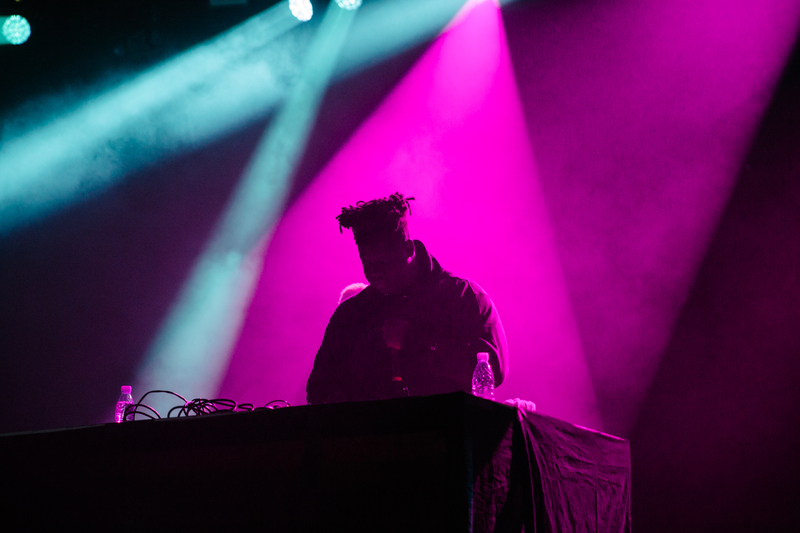 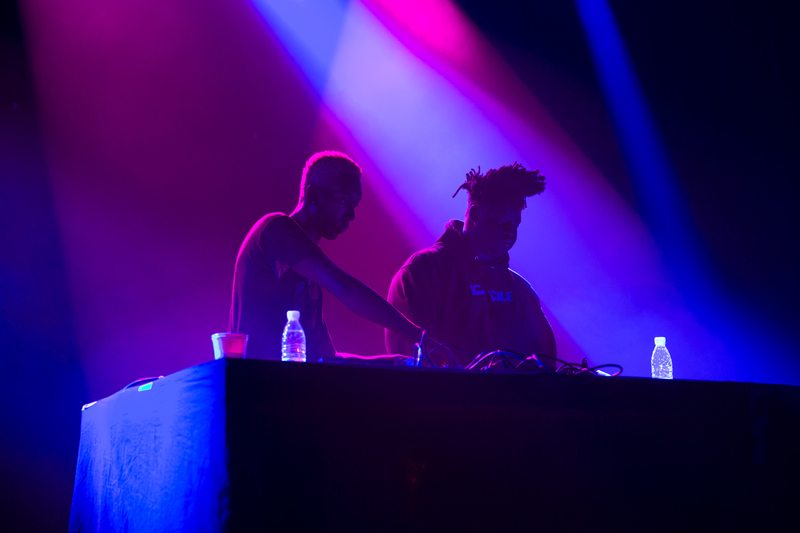 The London duo helped fill the room with teenagers and mosh pits. 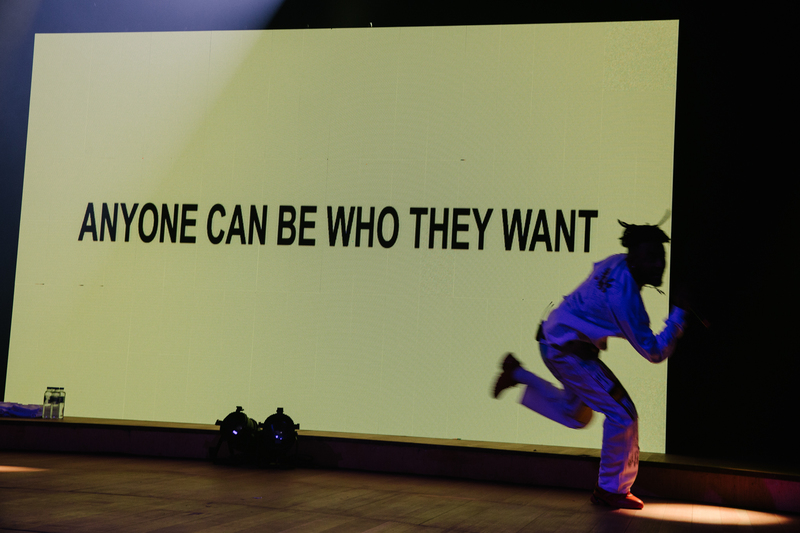 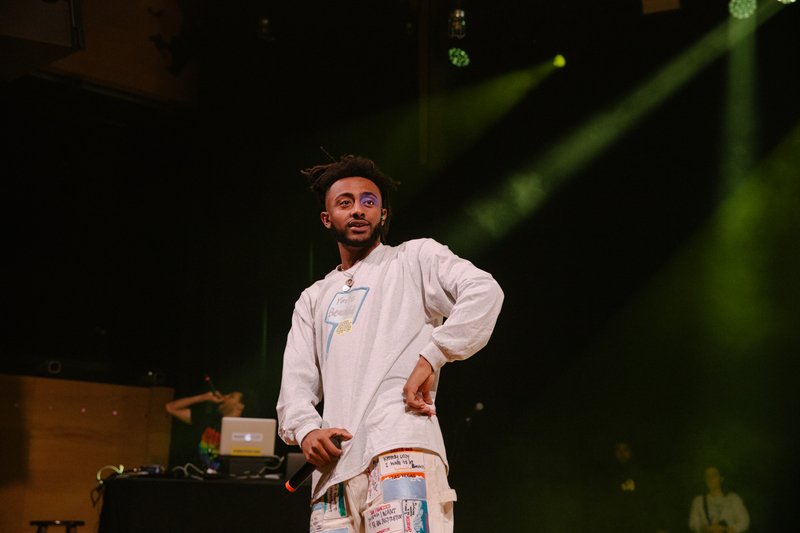 Once the energy was captured, Aminé was introduced from a skit that featured on his album, OnePoint5ive. 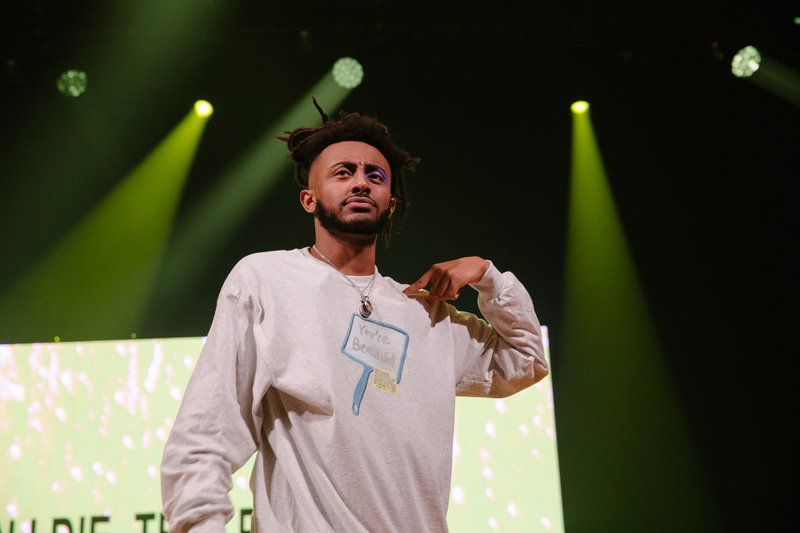 Throughout Aminé’s hour long set, a video board was behind him, flashing memes and inspirational quotes. 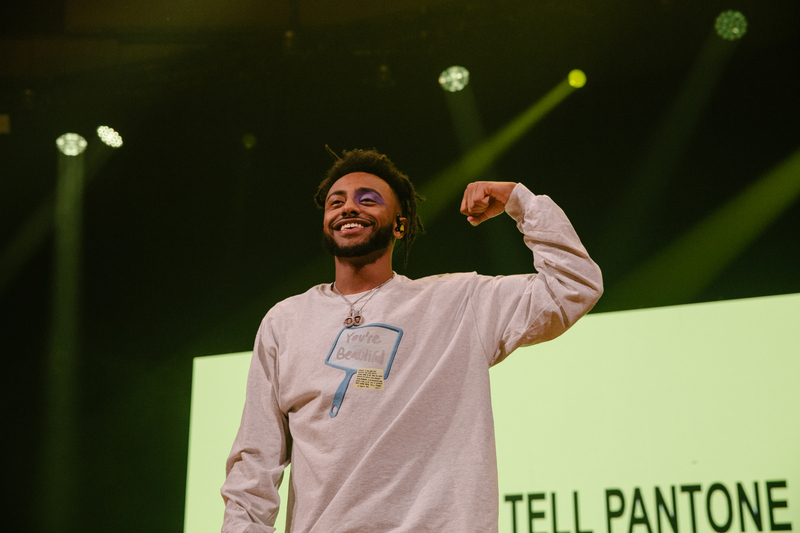 Some of the more motivational phrases included “Cannot Stop Me,” “Dreams are easy to achieve, believing is the hard part,” and “Anyone can be who they want to be”. 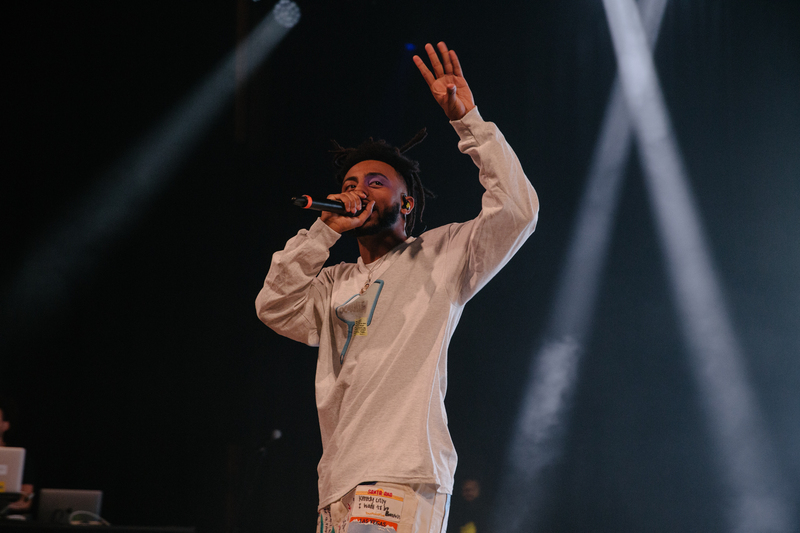 As Aminé finished his first song, he addressed the crowd giving them instructions to make them feel beautiful. 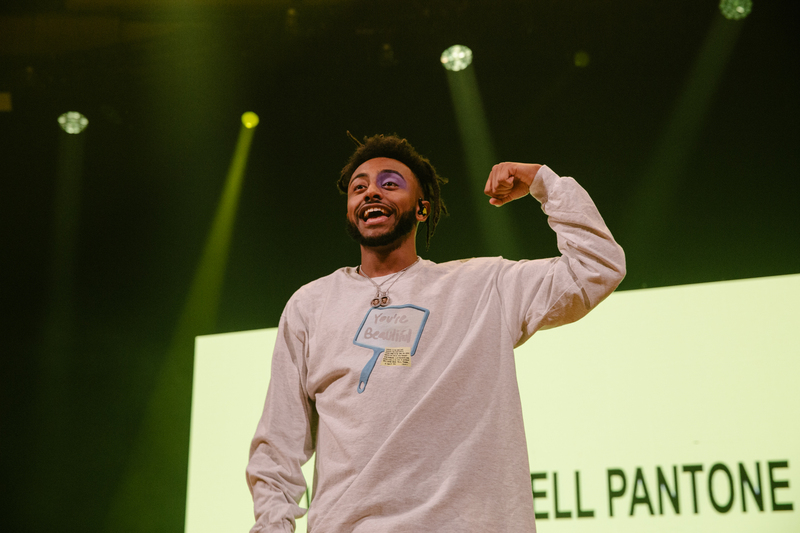 Whenever Aminé screamed ‘You’re Beautiful’ the crowd would respond ‘I Know’. 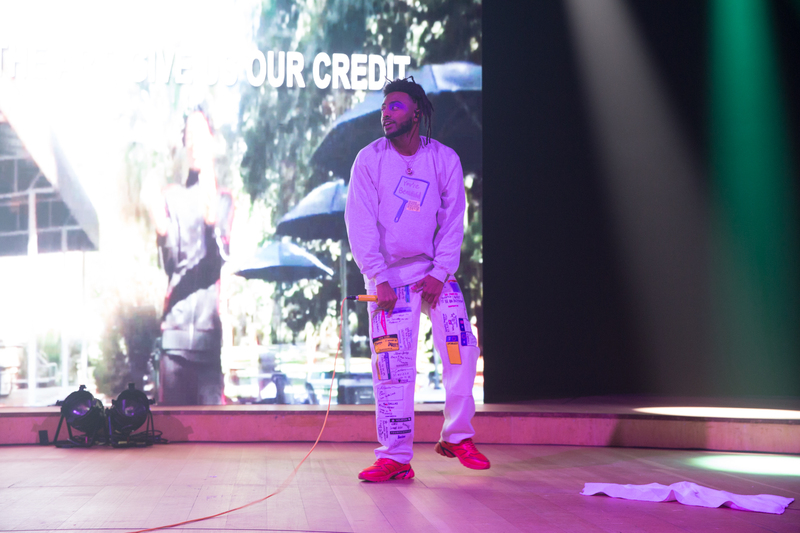 This interaction made the audience feel in touch with the artist as well as feeling good about themselves. 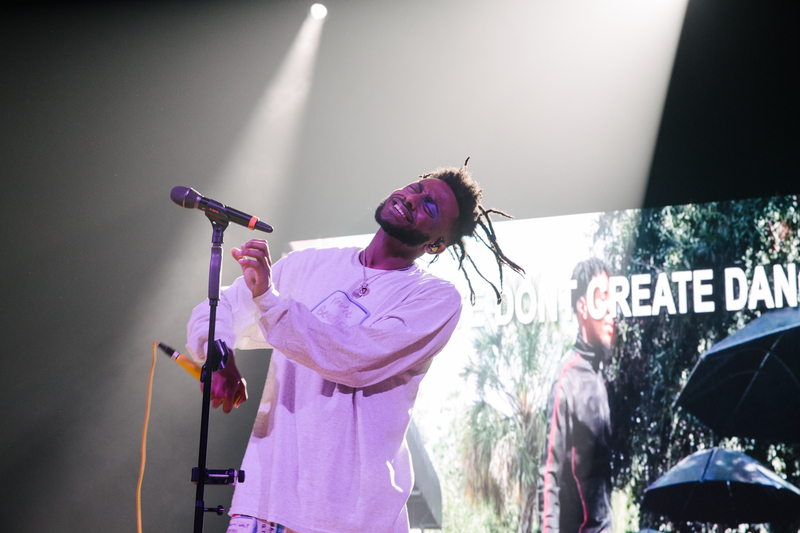 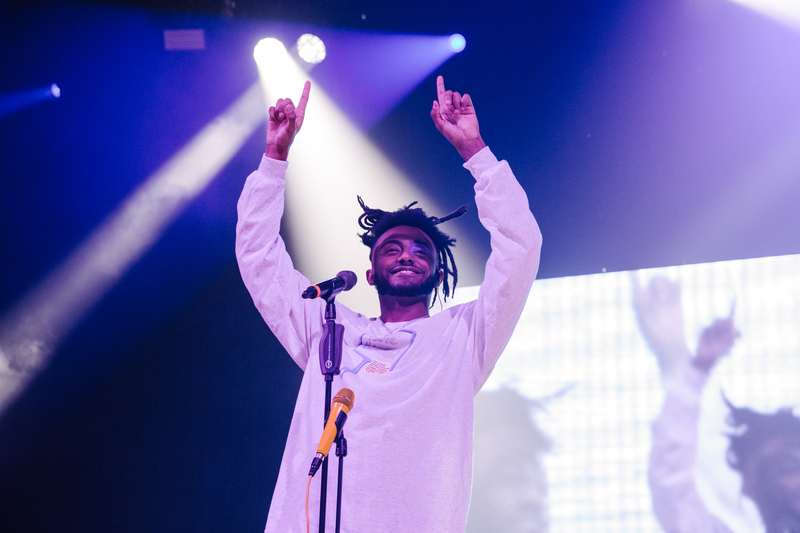 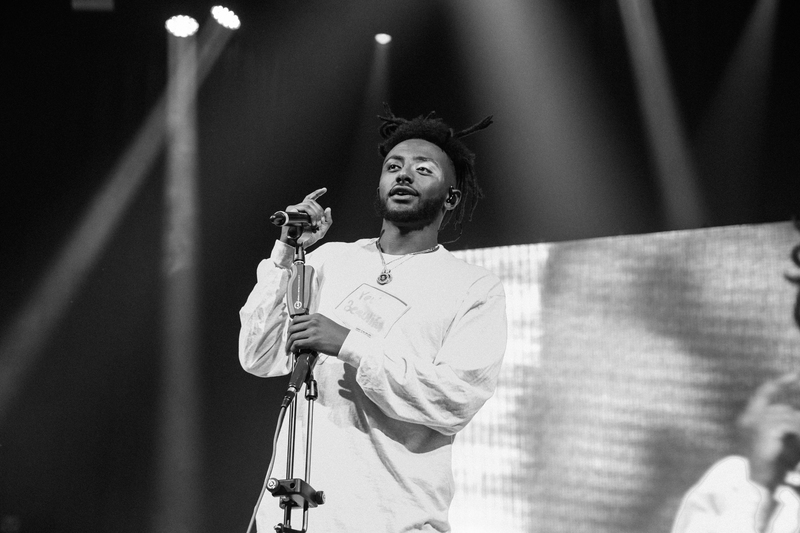 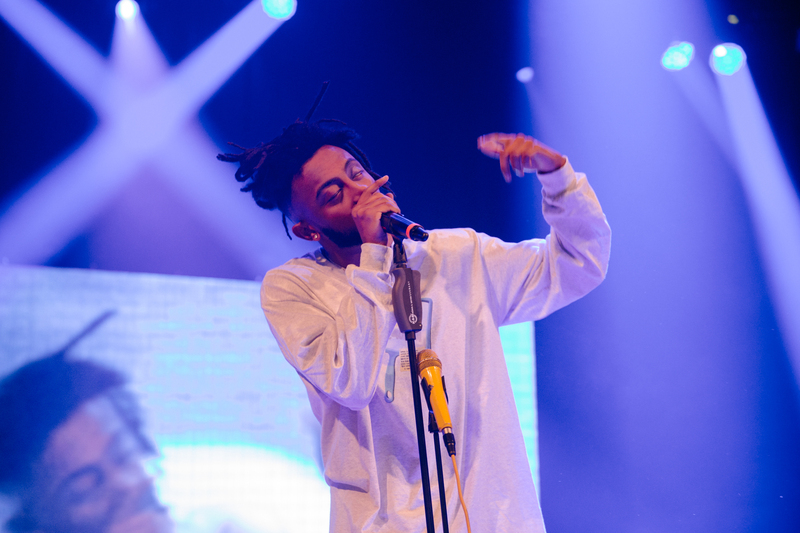 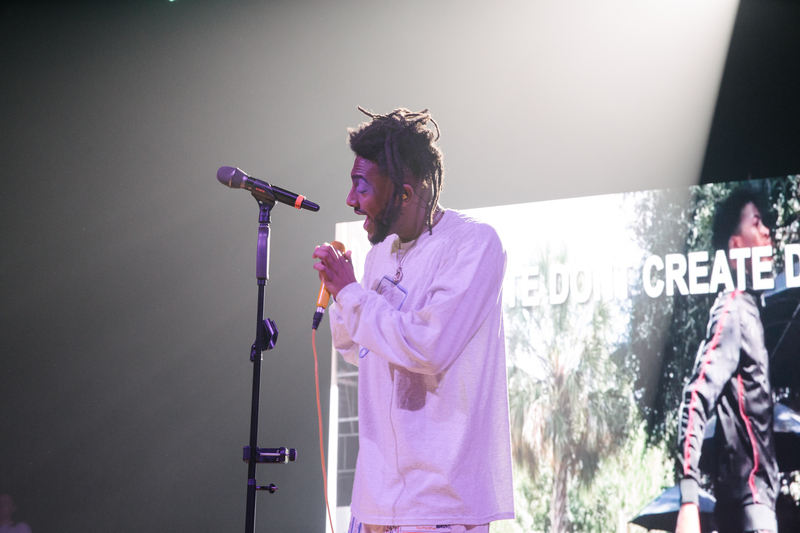 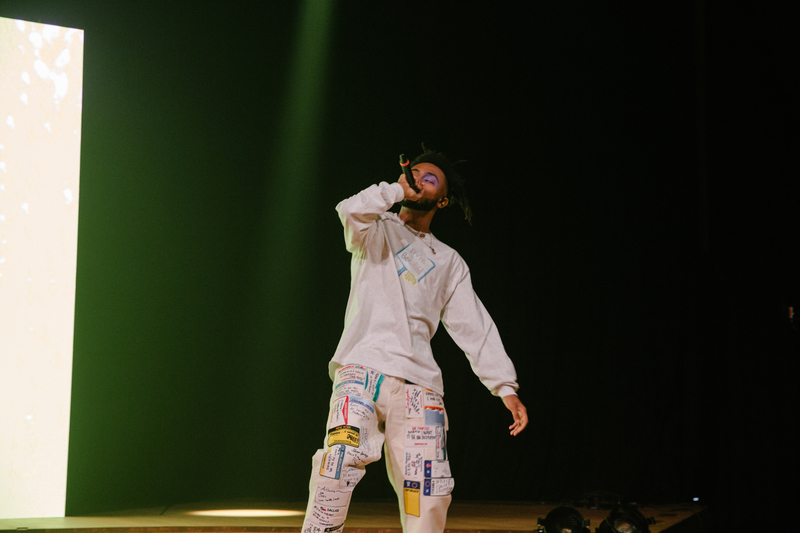 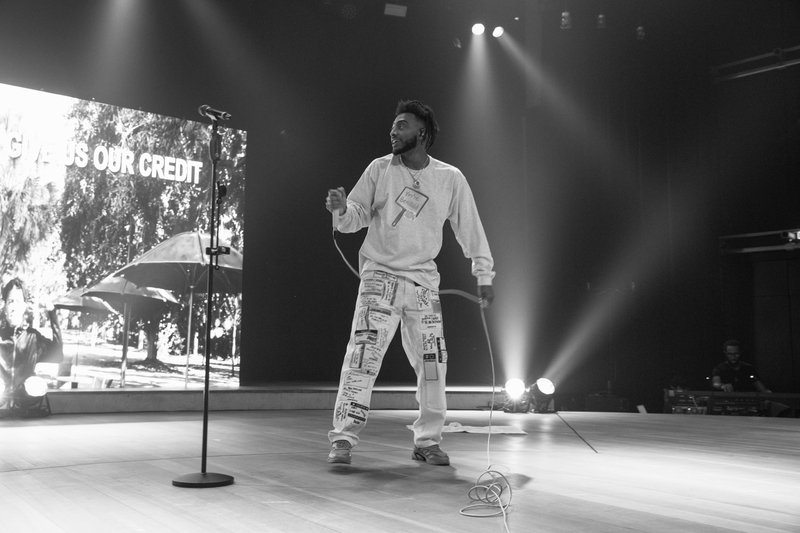 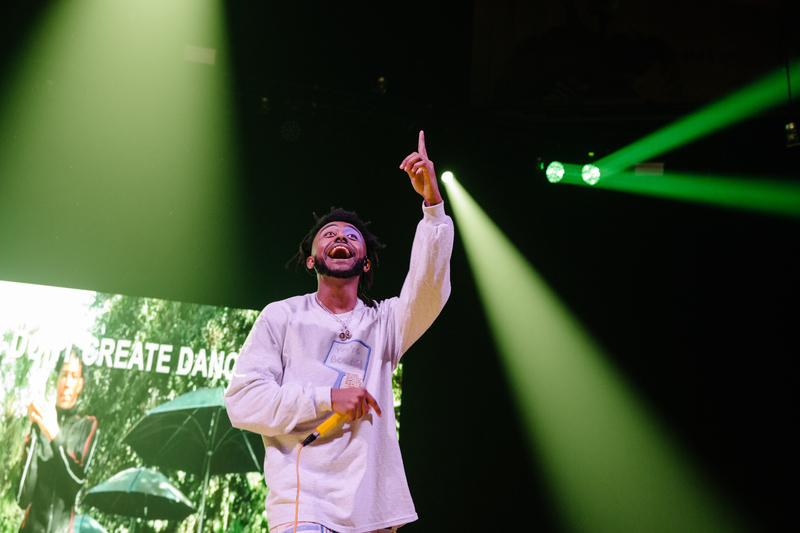 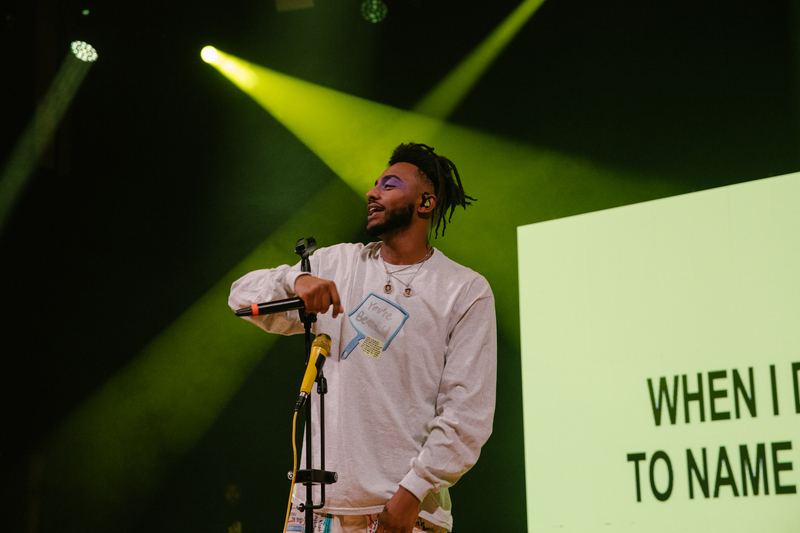 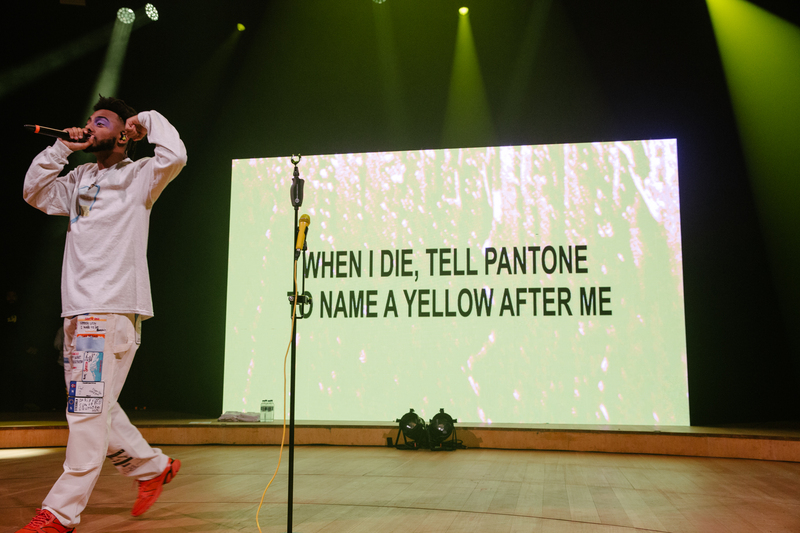 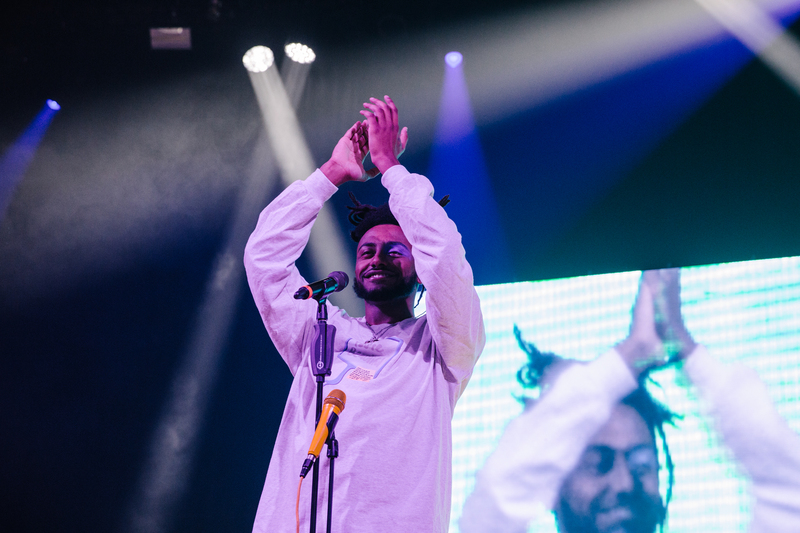 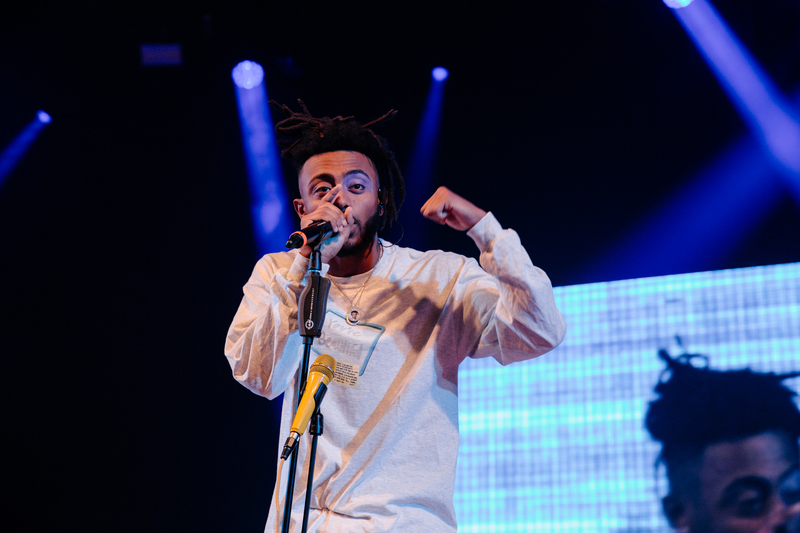 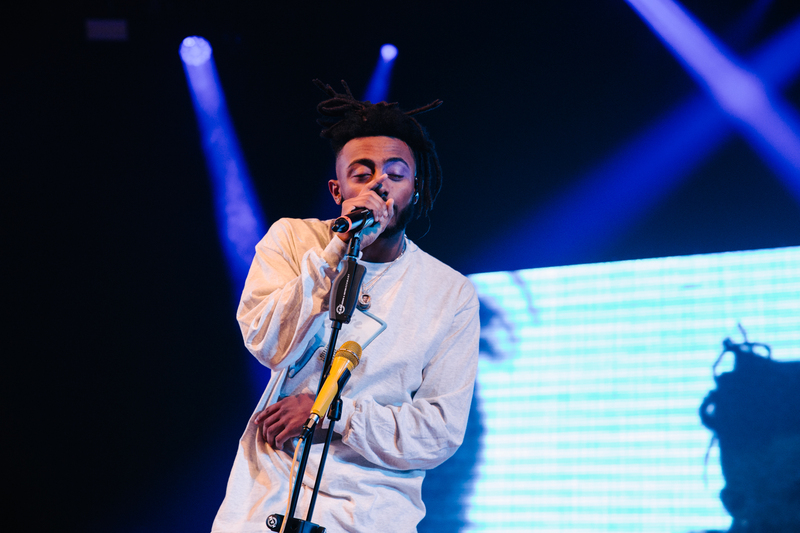 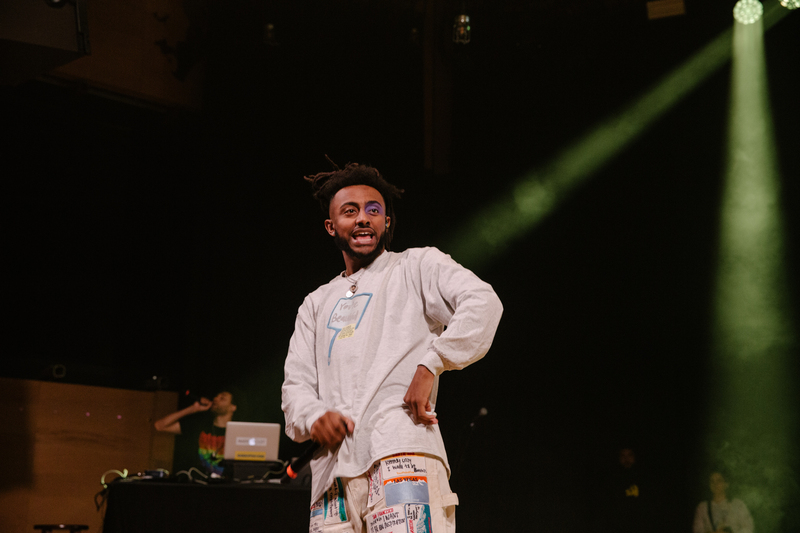 When reflecting on the music, Aminé performed a range of tracks from his EP ‘Good For You’ as well as ‘OnePointFive’. 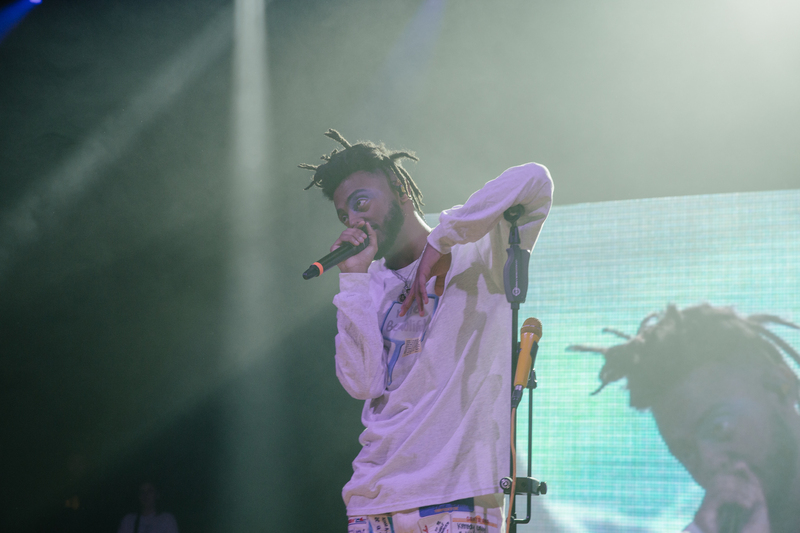 Being introduced to the world in 2017, it was surprising to hear so many hits from such a young artist. 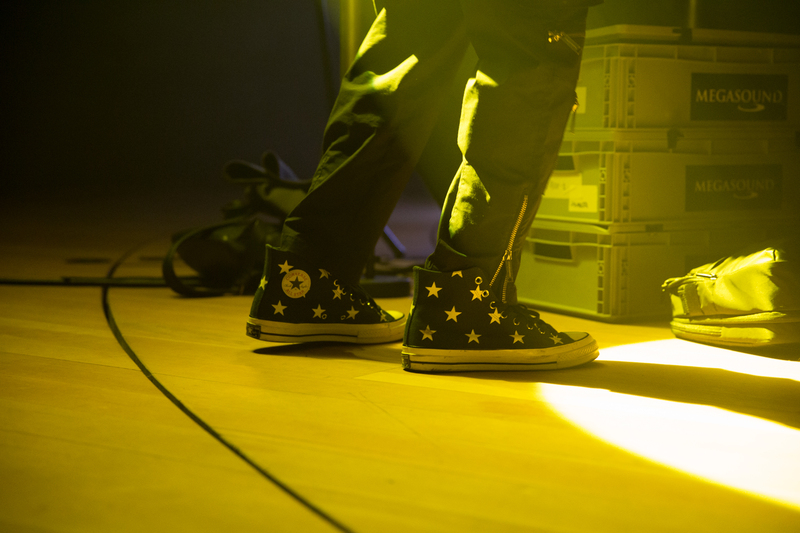 Tracks that stood out included Why, Spice Girl, Wedding Crashers, Reel It In and Heebiejeebies. 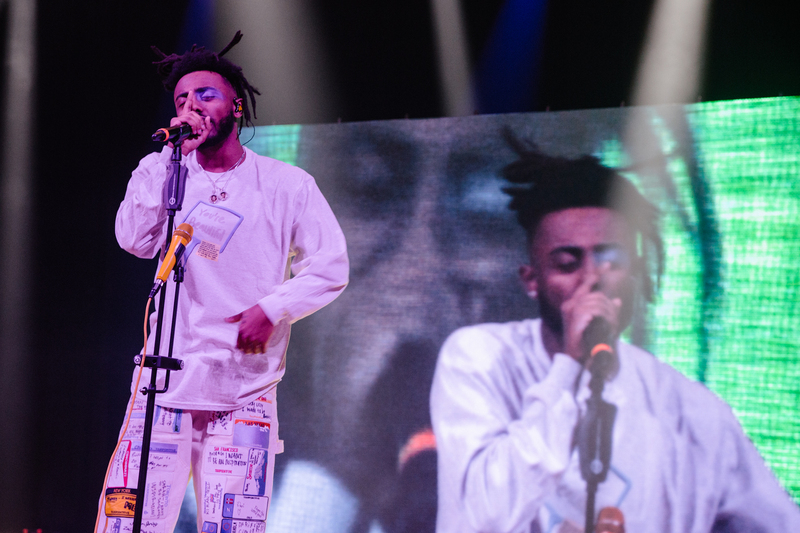 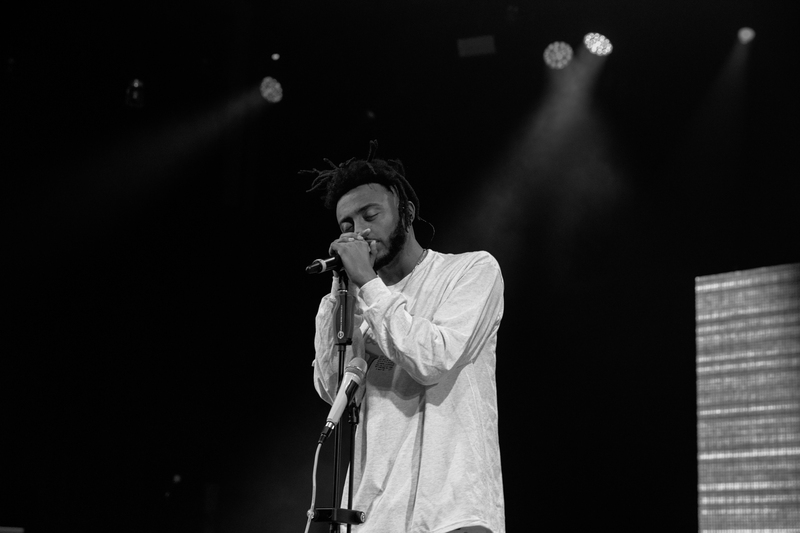 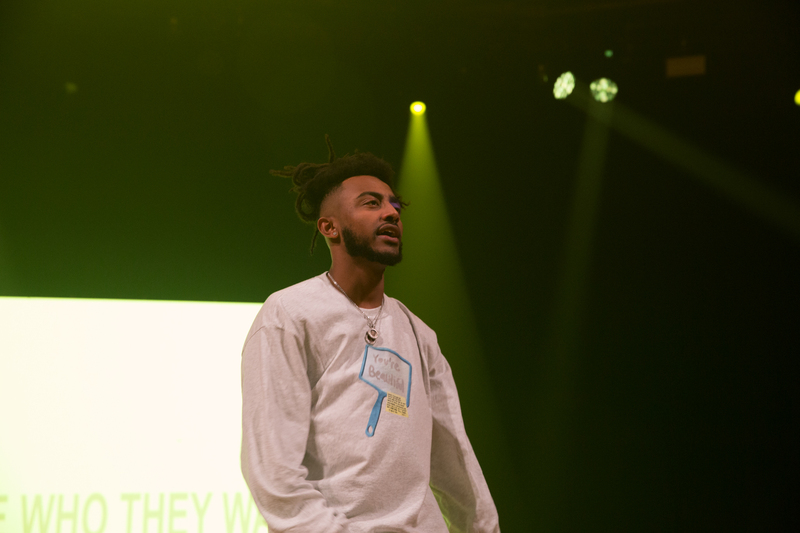 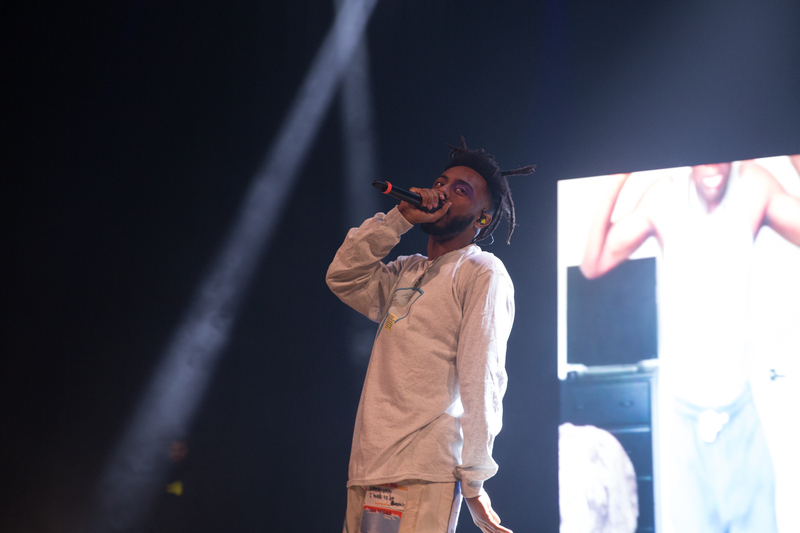 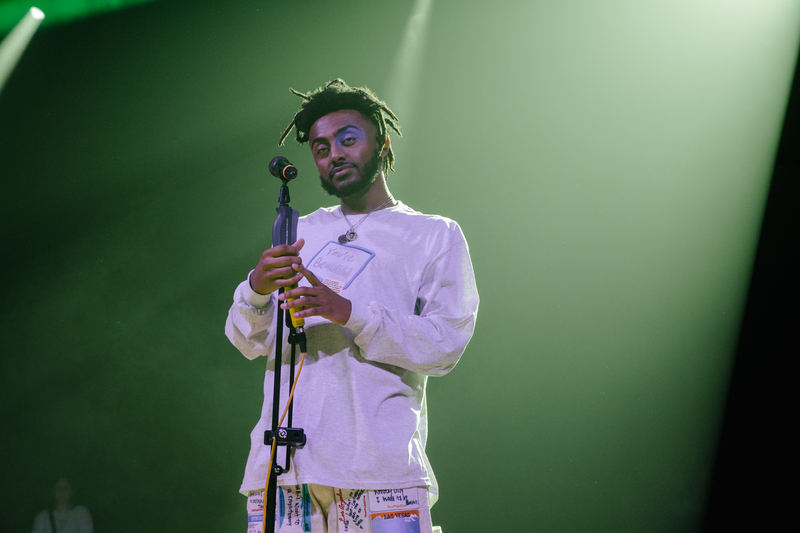 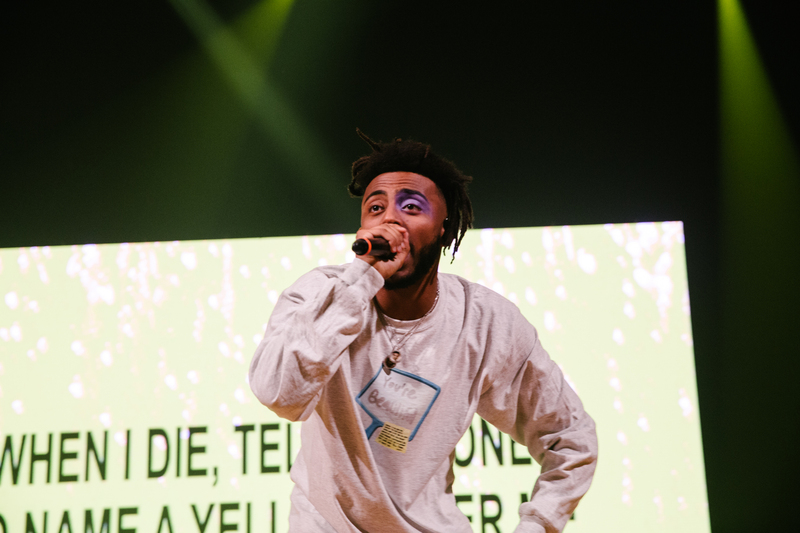 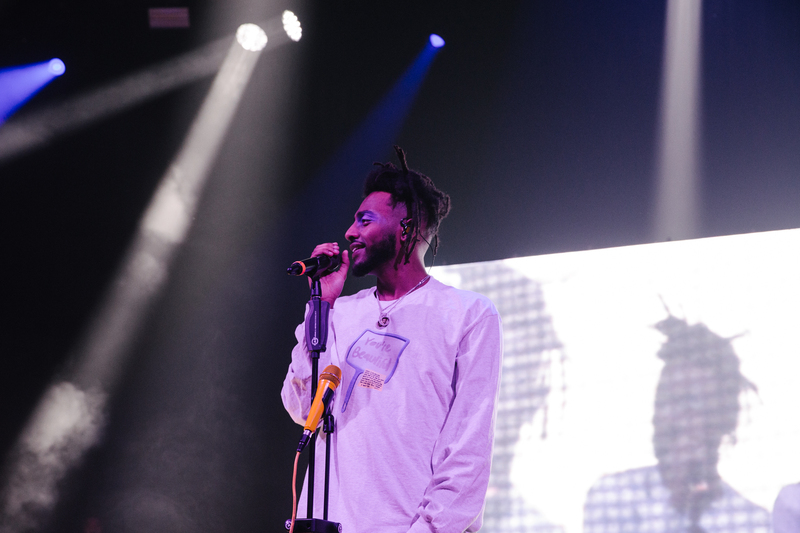 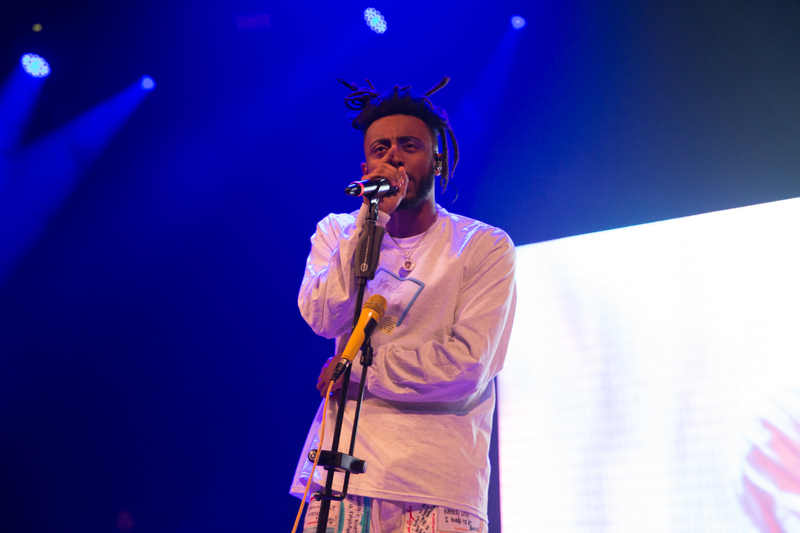 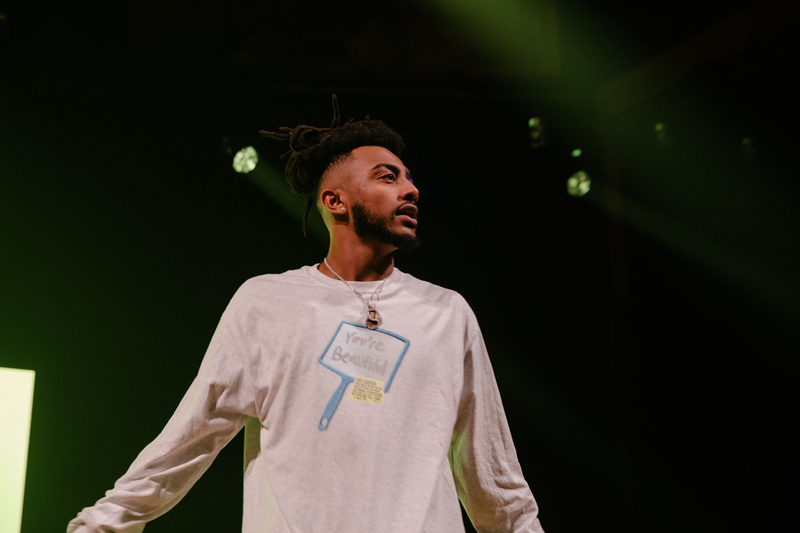 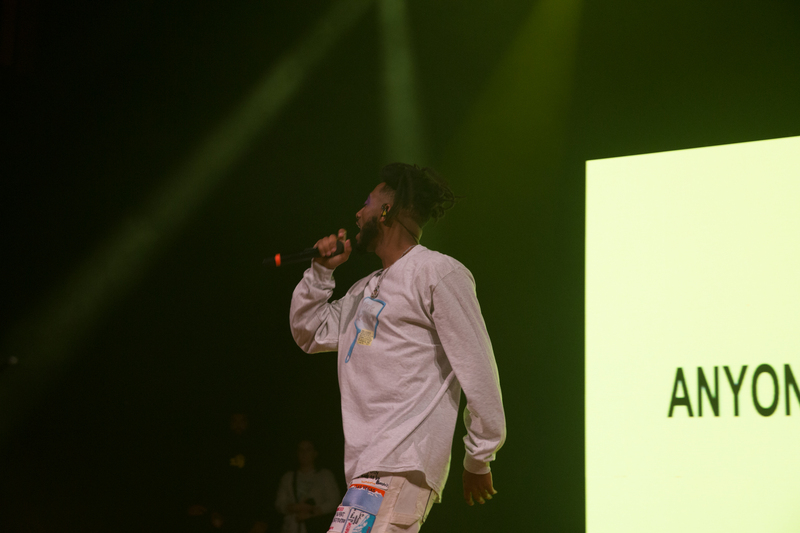 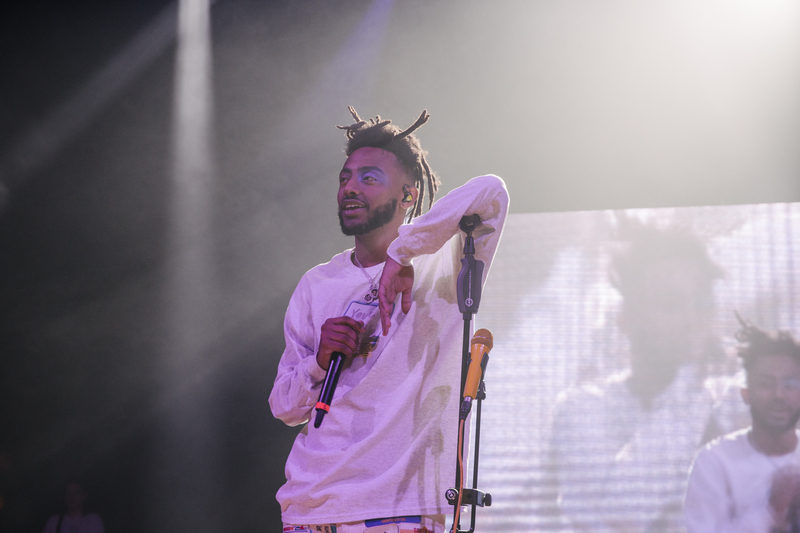 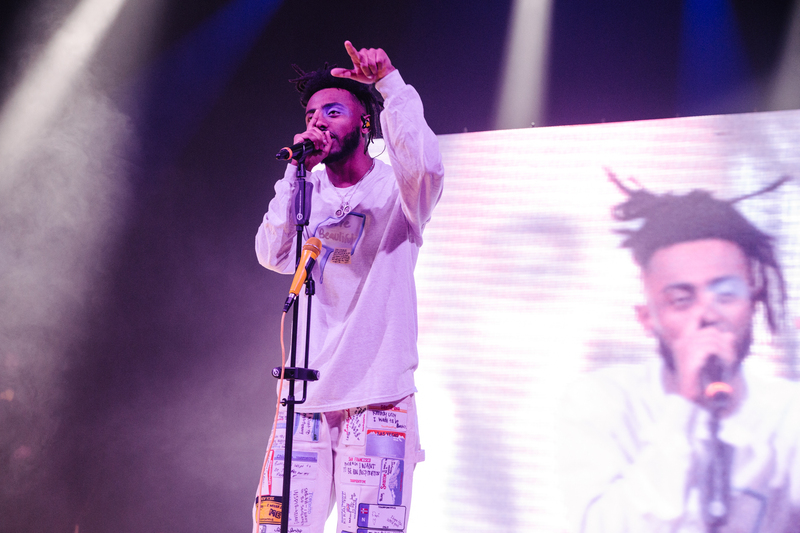 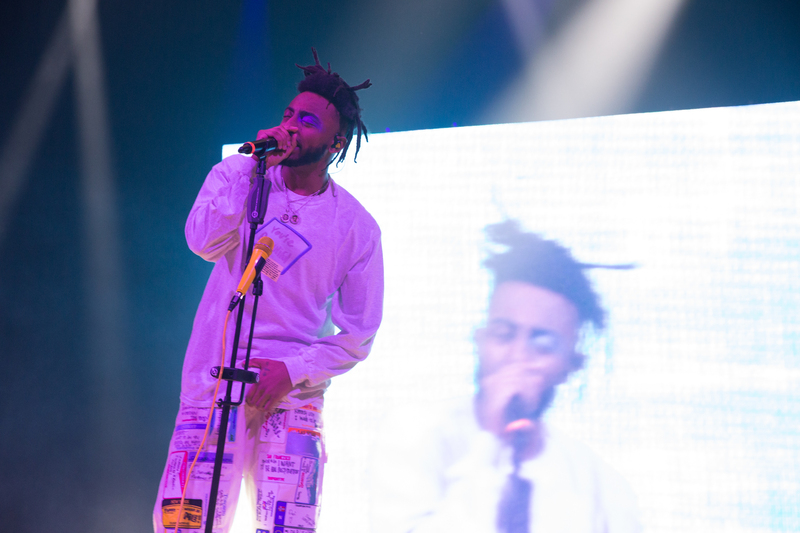 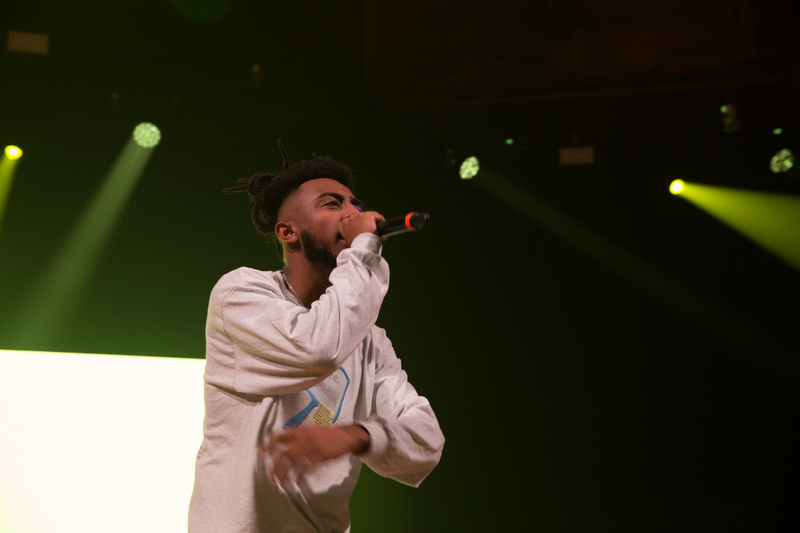 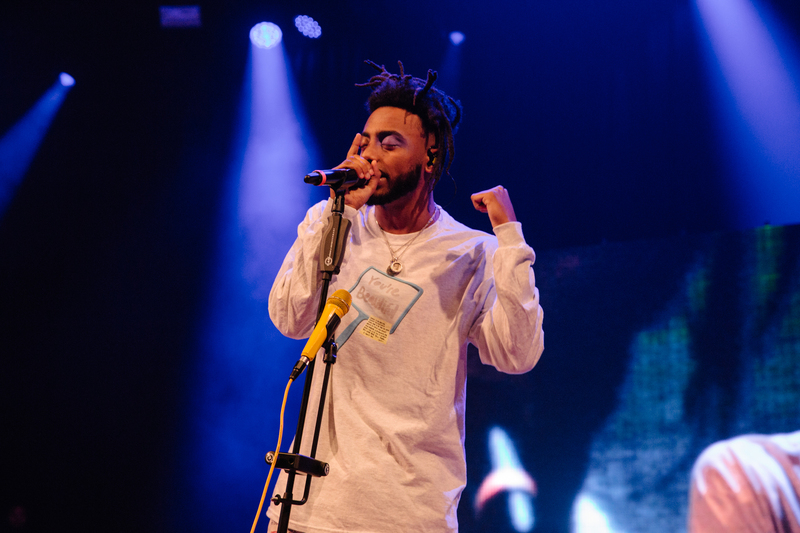 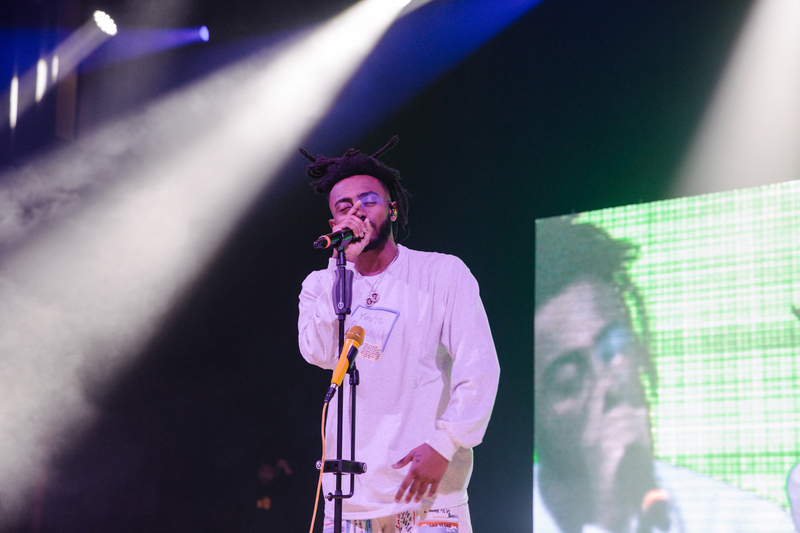 Aminé also surprised fans with an acapella version of Caroline. 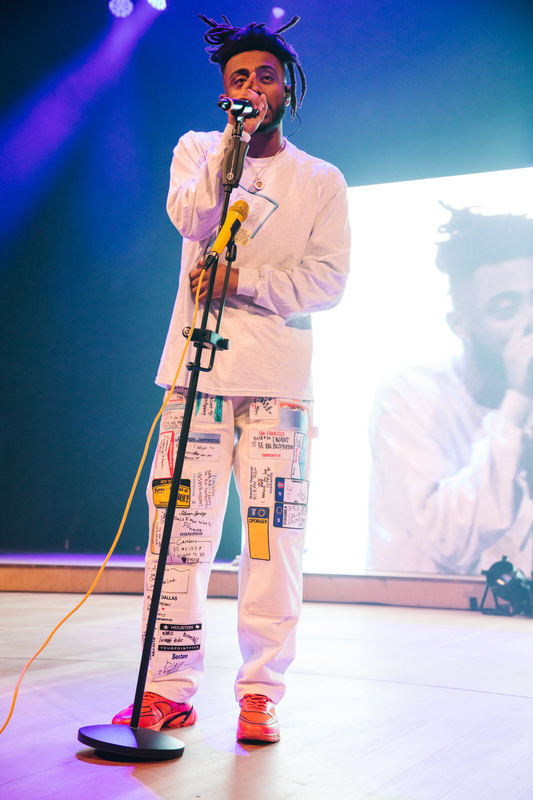 His alternative take to delivering these songs were unique, making his concert enjoyable. 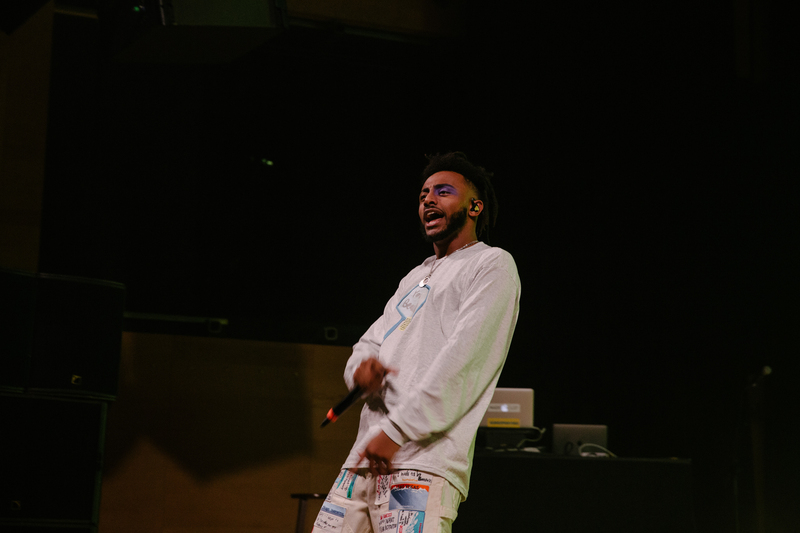 SaveTonight would highly suggest any Aminé show in the near future.